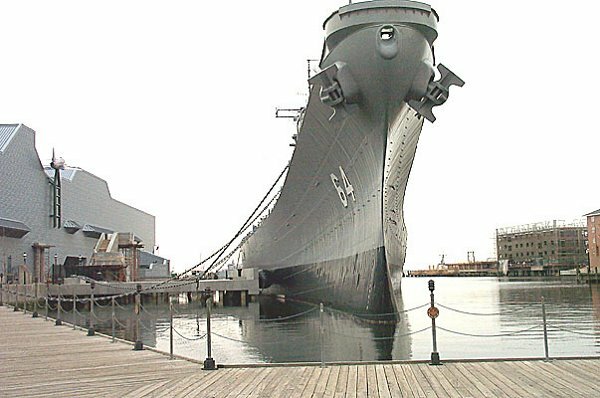 This Photo is from the USS Wisconsin Association. 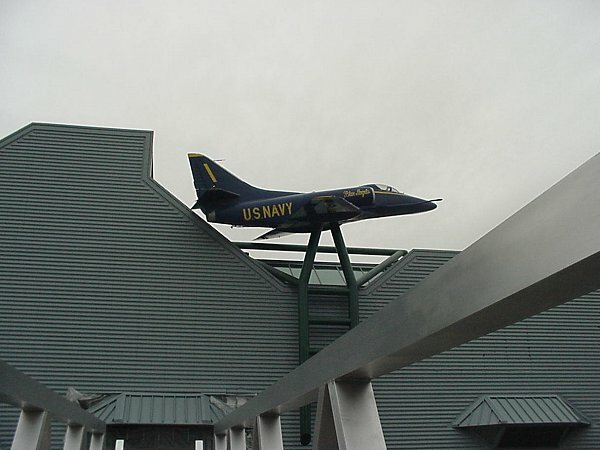 You can see the A-4E to the left of the USS Wisconsin on the building. 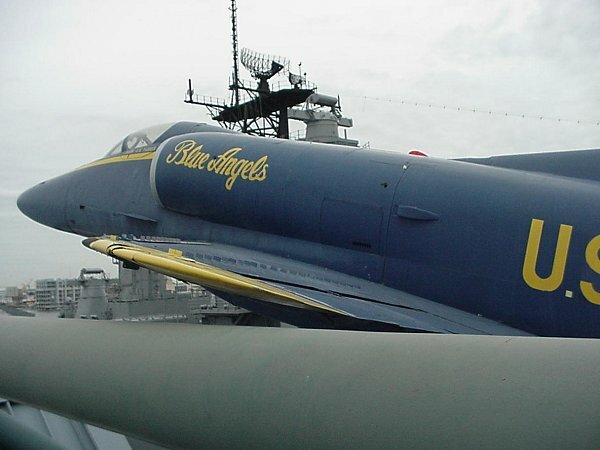 Note: This A4-A was not flown by the Blue Angels. 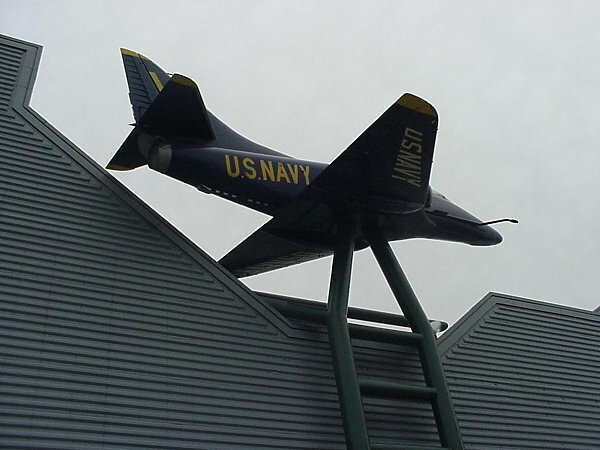 The Blue Angels Alumni Association would like to thank the Nauticus Museum for promoting the spirit of the Blue Angels, and for the use of these photographs.